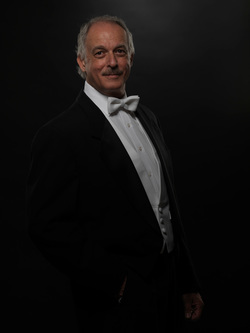 A native of Reading, Pennsylvania, Anthony Orlando was appointed to The Philadelphia Orchestra in 1972 by Eugene Ormandy. Prior to his appointment, he was principal percussion and/or timpani with the Pennsylvania Ballet Orchestra, the Opera Company of Philadelphia Orchestra, the Grand Teton Music Festival Orchestra, the Lancaster Symphony, and the Trenton Symphony. Mr. Orlando began percussion training at the age of eight and also studied the cello from ages nine through 12. He was an associate fellow at the Berkshire Music Festival at Tanglewood in 1968 and earned a Bachelor of Music degree from the Philadelphia Musical Academy in 1969, where he was a student of Michael Bookspan, former principal percussion with The Philadelphia Orchestra. Mr. Orlando did post-graduate studies with Fred Hinger, former principal timpani with The Philadelphia Orchestra and the Metropolitan Opera Orchestra. Mr. Orlando currently teaches privately and gives four master classes annually at Rowan University. He was a former faculty member of the University of the Arts and the New School of Music. He has presented clinics and master classes in percussion performance at many colleges and universities, including the Curtis Institute of Music, Temple University, the University of Delaware, Oberlin College, and the University of Michigan. In his free time he enjoys hiking, skiing, and road cycling. He resides in Gloucester City, New Jersey, with his wife and family.